There is no denying the fact that the majority of web traffic is driven by search engines like Google, Bing, etc. Well, social media sites can generate traffic, but search engines are the primary methods of navigating traffic into your site. This is true in any case regardless of whether your site provides products, services, contents, or just anything else. The main task of search engines is to provide targeted traffic, and they make use of unique ways to provide traffic. Therefore, you will have to keep search engines impressed with various techniques of optimization. If your site is not properly optimized, search engines will not give attention to it. Therefore, your website is not to be found anywhere. You cannot miss out the incredible opportunities that are available for websites when properly optimized. Search engines can play a great role in making or breaking the success of any website. Only when you get visits from your targeted customers, you can expect to have higher conversions rates. Thus, with increase in sales, you will have more revenues and higher returns on your investment. Without SEO, there is no way by means of which search engines can figure out your website. Therefore, you should give emphasis on this factor right from the beginning, and continue giving so as long as your website is present. There are many people that consider dealing with SEO by themselves. However, it is important to understand that the world of SEO is complex. You can understand the basics, and start with it on your own. However, you should be updated about the latest techniques that search engines are looking for so that you can make use of the same to move ahead in the competition. However, if you think that competition is tough, and you are not able to handle it, you can look for professionals from AimWeb.co.za. They will help you in the best way. Even when lots of websites are coming up in today’s date, there are many webmasters that are baffled by search engines. If you belong to the same group, it is important that you understand it because there are chances that you will fall in the trap of bad SEO. Thus, you should understand the concept of basic SEO so that it is easy for you to stand apart from the rest in the field of competition. Search engines determine the relevance of your site on the basis of optimization. It is optimization through which your site becomes appealing and relevant to the search engines. Ranging from the title tag of your webpage to anchor texts and semantic analysis of the content, there are lots of important things that you will have to consider in this context. It is search engines that determine the importance and significance of a webpage. They determine whether your pages are relevant for a particular search query. The main driving factor around websites is links, and therefore, you should always give prominent emphasis on the links. Moreover, creating contents is incredibly important for many reasons because there is no substitute for good contents. It is through contents by means of which you deliver information about your business to your prospective customers. There are several tactics that you need to make use of in order to make sure that your site ranks in the top list of search engines. If you think that you will not be able to handle these things, it is wise for you to hire professionals. There are lots of companies that offer SEO services, and therefore, finding an effective company can prove to be highly beneficial. Start your research and you will come across a company like AimWeb.co.za. It is one of the best companies that will help you with all the basics of SEO for your site. As a website owner, you must be aware of the importance and need of search engine optimization. After all, it is one of the vital processes that determine the success of a website. Without SEO, it is not possible to get traffic through organic ways. Having a presence online is one of the major aims of any business, and it is SEO that helps in enhancing the presence and visibility online. Therefore, if you are a beginner, you should start with general SEO so that you can make your site fetch a fair rank in the search engine lists. Only when your site is positioned well, it will be visible by your target audience. It is obvious that, you make your website loaded with contents so that it is more relevant to your end users. However, it is the search engines that will first take a look at your website before it reaches your audience. Therefore, it is proper SEO by means of which you can make it appealing to the search engines, and ensure that these are read by them. The indexing software of the search engines will help your customers become aware of your brand and locate you easily. Hence, they will look forward to availing your services. There is no denying the fact that, there are large numbers of strategies that you can apply for optimizing your website. Ranging from impressive design, blog posting to link building, there are lots of things that can attract the search engines to your site. Well, the best thing that you can do is to leave the task in the hands of the professionals because they can handle it effectively. AimWeb.co.za is one off the best options for you. They will understand your needs, and make sure that they optimize your site in the most effective way. Hence, you can stand out from the rest. SEO or search engine optimization is one of the most important factors for any website. Whether you are planning to launch a new website, or are looking forward to expanding, without proper SEO, it will not be possible for you to fetch a good rank in the search engines. After all, this is the age of competition, and if you do not make adequate efforts in SEO, you will not be able to survive in the competition. Although the basics of search engines can be understood and implemented easily, you should still consider hiring professionals in order ti impress the search engine crawlers and get a good rank in the pages. It is important to understand that search engines change their algorithms regularly. If you are not aware of these algorithms, there are chances that you will go at the bottom. While concentrating on SEO, you need to make sure that you are updated regularly so that you can carry out campaigning effectively. Making use of updated techniques and strategies is also important because your competitors are also trying their best to acquire the same. Moreover, you should also remember that only optimizing your site once is not sufficient. The site should be regularly updated so as to get the best results every time. SEO is not an easy task, and there are lots of efforts and dedication that you need to put in order to acquire success. It is not a short-term solution, and there are several factors that you need to keep in mind. Thus, if you think that you are not confident in the task, the ideal option is to hire professionals. They will take into account both on-site and off-site factors that will meet the full criteria of search engines. 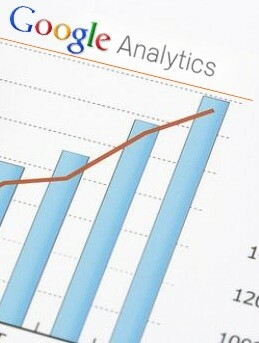 AimWeb.co.za can cater to your SEO needs, and make sure that you get the best results for a higher volume of traffic.